Mobile Phones Fan: Is Comcast Cheating on FCC Net Neutrality Rules? Is cable TV giant Comcast competing unfairly, giving their own content bandwidth-priority over 3rd-party services? Streaming Media Blog's Dan Rayburn says Comcast applies industry-standard 'Quality of Service' (QoS) tags to all content. Their content is tagged Service Class 5 (CS5), while content from outside companies like Hulu and Netflix is rated Service Class 1 (CS1). Thus, Comcast's Xfinity content has delivery-priority. For doubters and skeptics, Rayburn provides instructions to do the test, yourself. 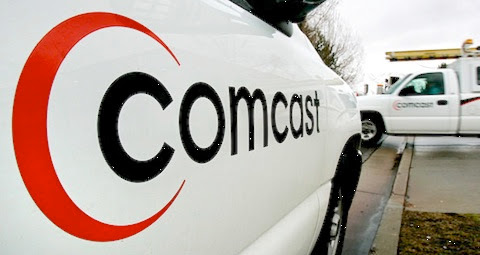 Previously, Comcast has claimed that any prioritization affects only content delivered over their 'private IP network' and not their Title VI cable service, which is subject to FCC's 'Open Internet' rules. The company used this defense when net neutrality supporters attacked their Xfinity for X-Box service. But the evidence in Rayburn's report seems to imply they are in fact prioritizing standard cable services, too.